PCS has in excess of 1000 pupils. We were commissioned to survey all areas of the school, with particular emphasis on areas where lighting could be improved. As the existing fittings were failing more frequently, maintenance costs were significantly increasing. This was evident in many corridors. Therefore these areas were chosen. The client wanted to achieve reductions in maintenance, energy consumption, CO² emissions and of course to improve lighting. The existing fittings varied between 3-4 fluorescent tubes mounted in recessed ceiling panels, each consuming 60-80 watts/panel + losses. We recommended installing 600x600 25watts LED Panels on a like for like basis, together with the installation & PIR Controls to further increase energy savings. 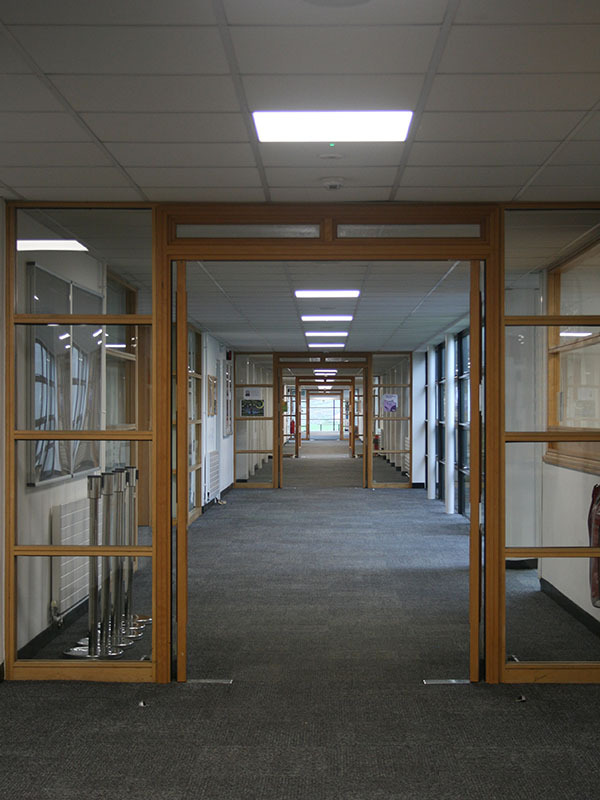 The client was very impressed with the increased lighting achieved by these new panels, which were installed without any disruption to the school.